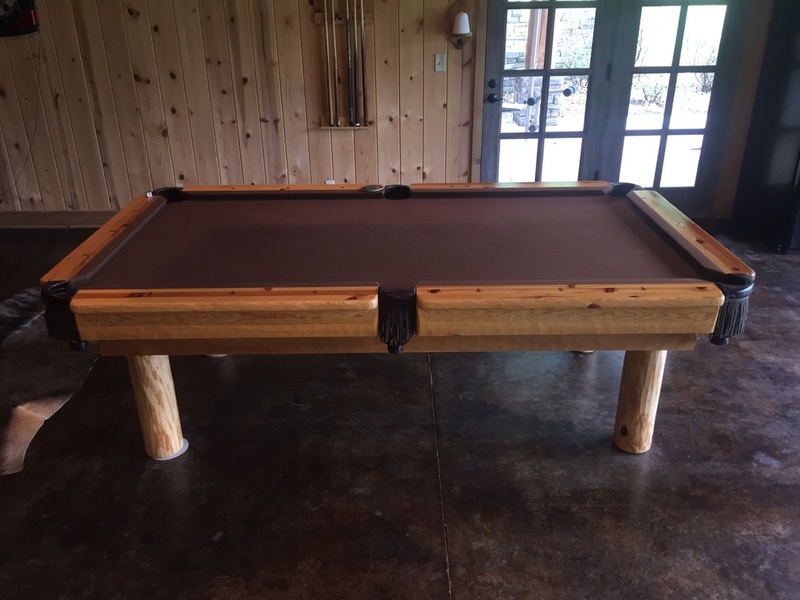 "Very pleased with the whole purchase from start to finish! They did an absolutely great job, the installer was very courteous and professional. Very smooth from time of order to time installed, I appreciate that and thought it was great customer service on your part, and going all the way through with the whole install and delivery, everything went wonderful, thank you very much! We could not be any happier with this table and your service." 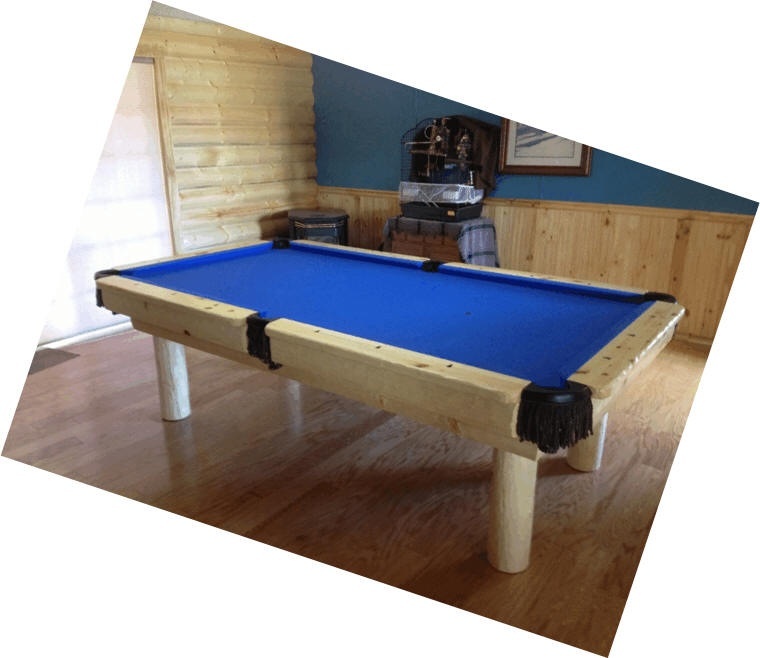 The Lodge Pole log pool table incorporates the lodge look with the traditional style pool table. 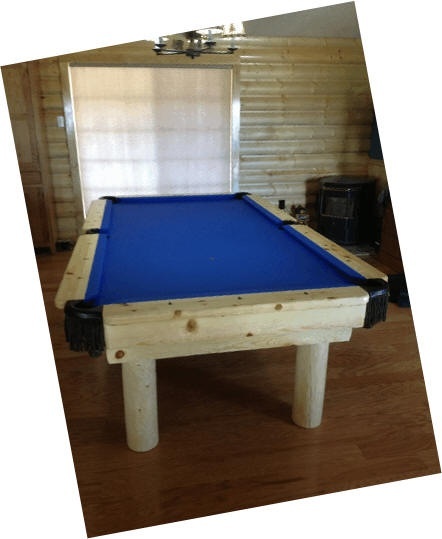 The top rails and side skirts are constructed of Ponderosa pine. The 6" diameter log legs are Norway pine. 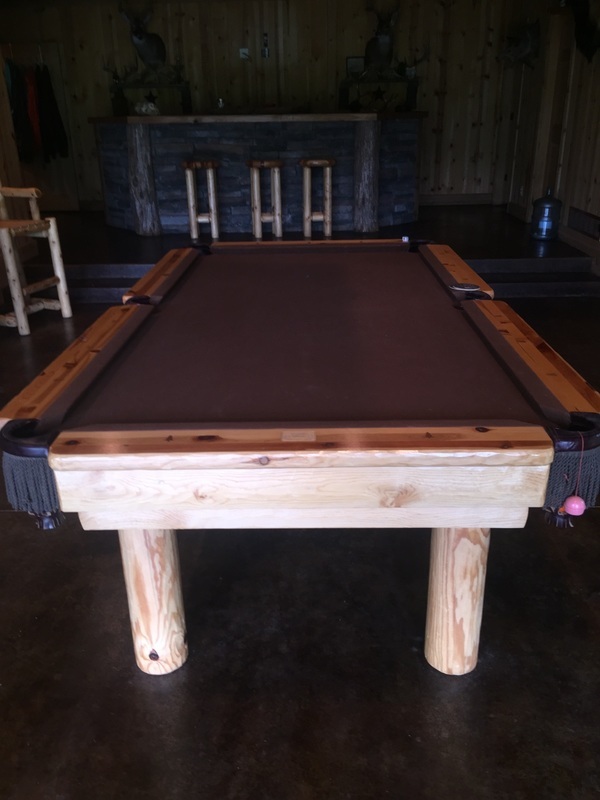 The rails are made up of 2" strips of knotty Ponderosa pine and laminated together to ensure that they will stay straight. The outside edge is then hand drawknifed. The side skirt is permanently attached to the rails and also drawknifed, giving each table its own unique character. This billiard table is a perfect addition to any home, cabin or lodge and is sure to provide entertainment with your family and friends for years to come. This table is available in the clear lacquer finish, or the honey pine finish. 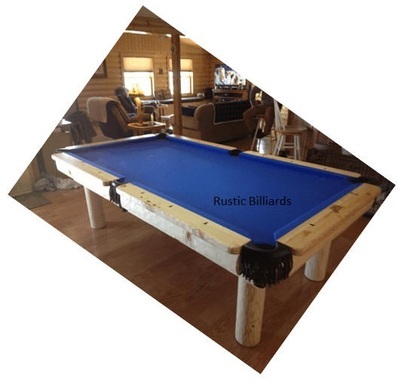 Body top machined to .005"
Rustic Log Pool Tables for the Perfect Billiards Room. 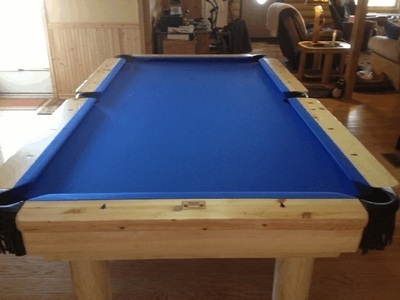 ​After choosing your table, you are free to select any felt color you want. The felts we use are professional grade playing cloth.